Ghana is in the international news for dishonourable reasons. A report by the New York-based Human Rights Watch has indicted the Government for harbouring suspected international criminals accused of financing the massacre of civilians in Ivory Coast. These suspected criminals loyal to arrested former Ivory Coast President Laurent Gbagbo have been conducting regular cross border raids into Ivory Coast since the end of last year’s post election conflict. The report says the brutal raids are being financed by people here in Ghana. The West Africa Researcher with Human Rights Watch, Math Wells, said the findings were based on interviews with Liberians and Ivoirians who fought for forces loyal to former President Gbagbo during the 2010-2011 Ivorian crisis. Human Rights Watch says it also interviewed police officers, prison officials, prosecutors, and residents of areas with a strong presence of militants involved in committing or planning cross-border attacks. Math told Joy News’ Dzifa Bampoh that Human Rights Watch found that Several people involved in planning the attacks received financial support from people in Ghana. It noted a number of high-level military and political leaders from the Gbagbo camp remained in exile in Ghana. Several of them – including the longtime Young Patriots militia leader, Charles Blé Goudé, and the former head of the gendarmerie’s armored vehicle squadron, Jean-Noël Abéhi – are subject to arrest warrants by the Ivorian justice system. Ghanaian authorities have failed to arrest and extradite them. Mr Math said the combatants had set up camps recruiting Liberian children, using them to carry out raids targeting supporters of current Ivorian President Alassane Dramane Ouattara. Human Rights Watch says that since July 2011, for instance at least 40 Côte d’Ivoire residents, including women and children; have been killed during four cross-border attacks. All this financed from Ghana according to Human Rights watch who also cite indict Côte d’Ivoire, Liberia for supporting these mercenaries. He said it was worrying that Ghana was not living up to its international obligations to arrest the suspects and hand them over for prosecution. According to him, Ghana had a responsibility not to allow criminals to seek refuge here. 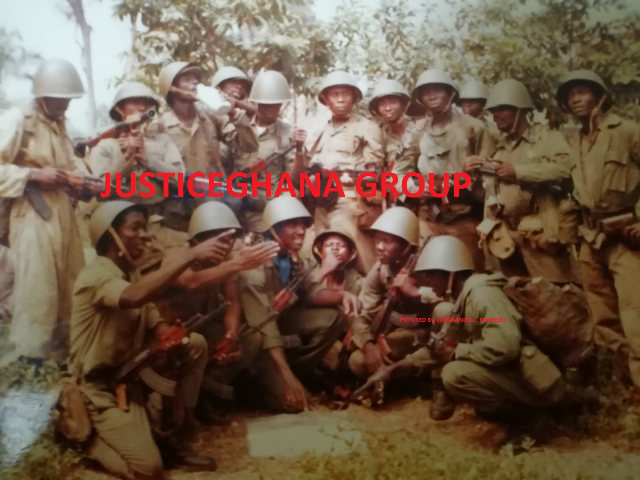 He however stressed that there had not been any attacks emanating from the border with Ghana. The Chairman of Ghana Refugee Board Mr Kenneth Dzirasah said the Human Rights Watch position was uninformed. He said Charles Blé Goudé was not based in Ghana as was being suggested by the Human Rights Watch but was shuttling between Ghana, Benin and Togo. Mr Dzirasah accused Mr. Math of misrepresenting the facts and that the government of Ghana was not approached for its side of the story.